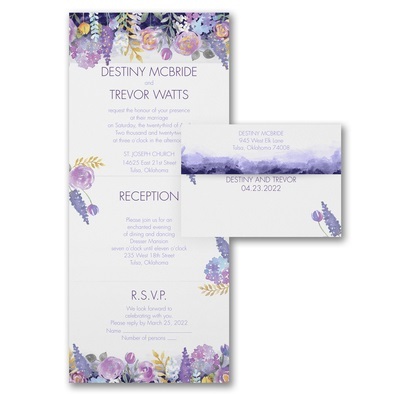 85 Looking for summer theme elegant wedding invitations? The beautiful hydrangea flower will add splendor to your special day. Custom printed with your personal wedding information. Perfect invitation idea for a summer wedding!